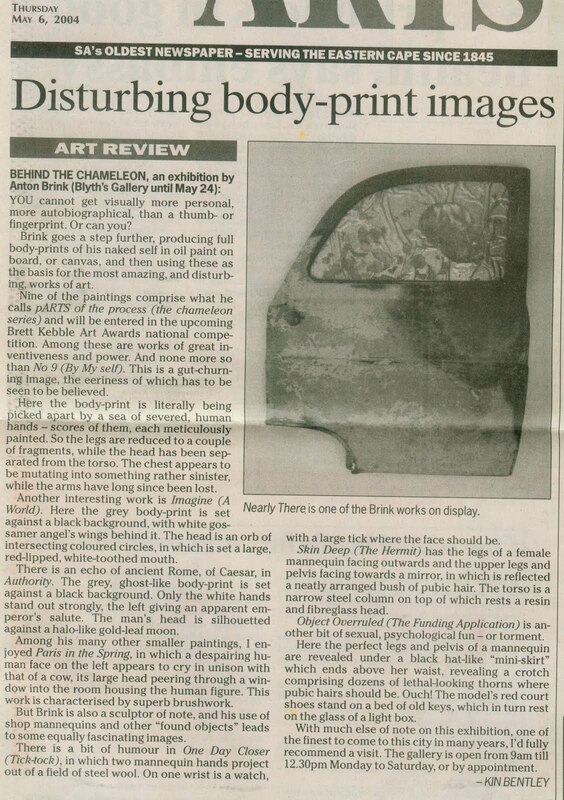 I've been labelled all manner of things, but this posting will show you I am, if anything, a chameleon. 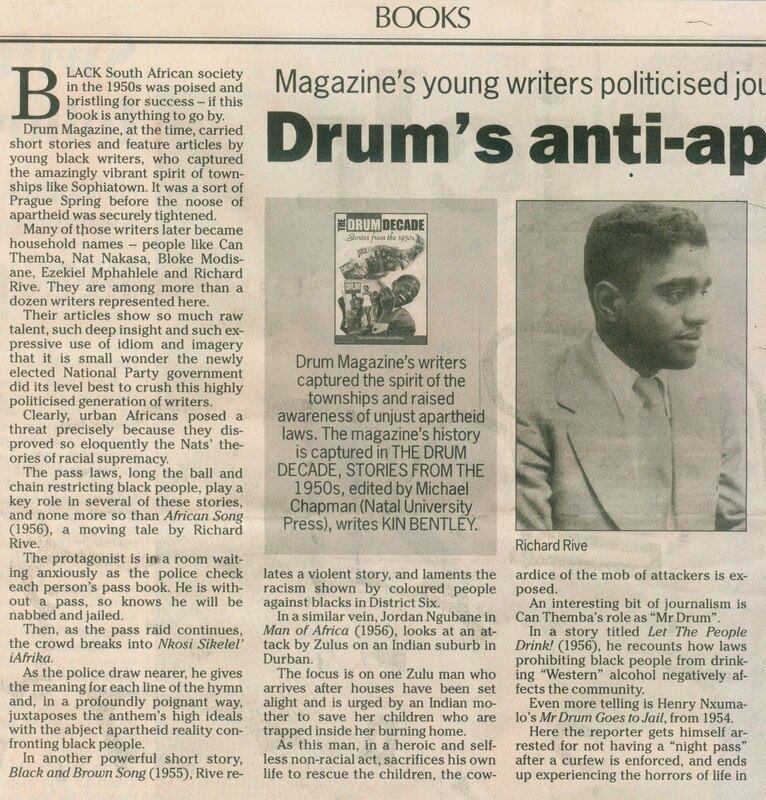 I go from lauding the anti-apartheid journalists of Drum Magazine in the 1950s to slamming the ANC. 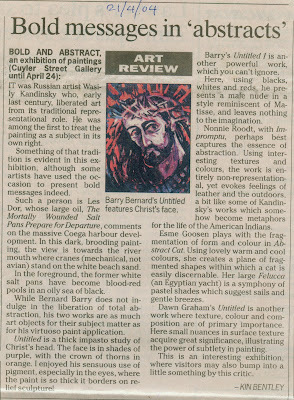 There are also a couple of art reviews in the mix. 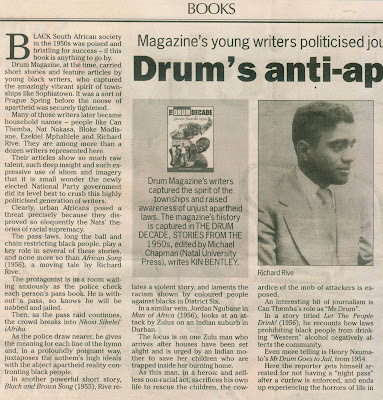 The concluding art of my piece on the Drum book. 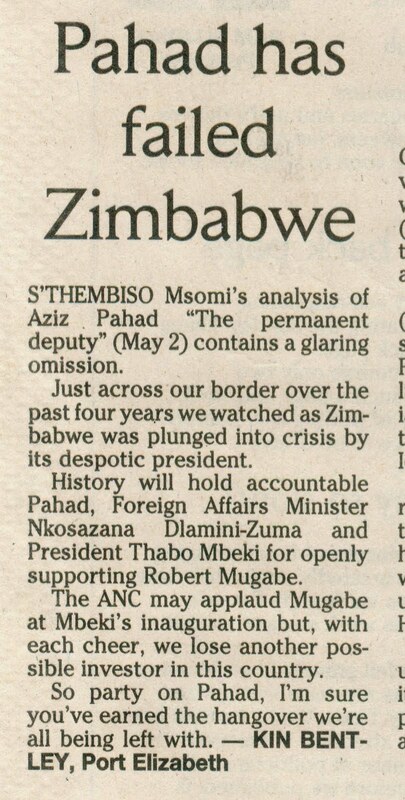 I continued to beat the Zim drum, as the situation got ever worse. This was run in the Herald on April 12, 2004. Even the Rwanda genocide was somehow twisted to make it appear the West was at fault. 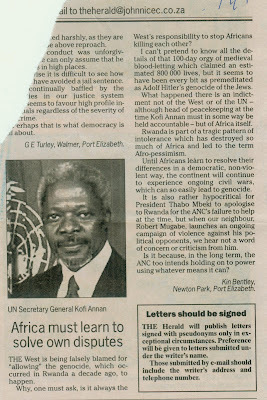 This letter was run on April 13, 2004. 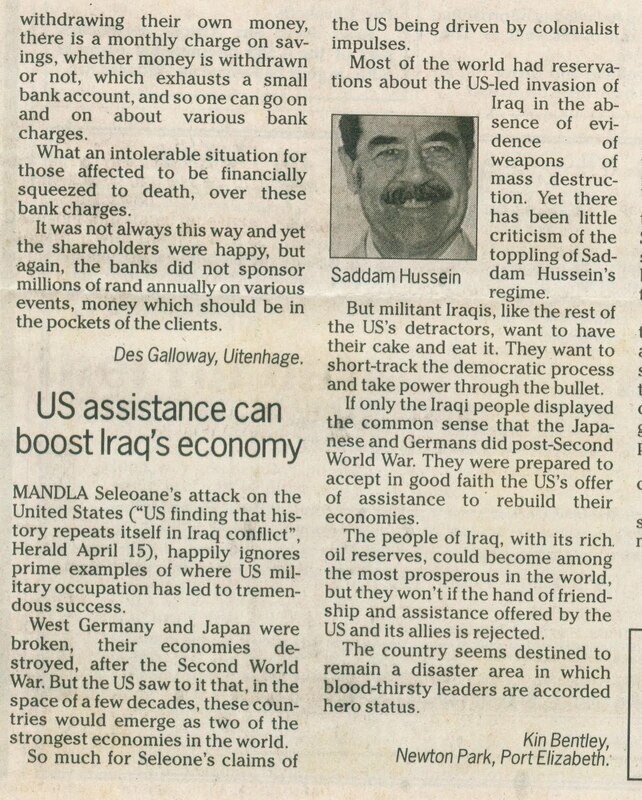 I continued to take the broader view on the war in Iraq. This appeared on April 19. 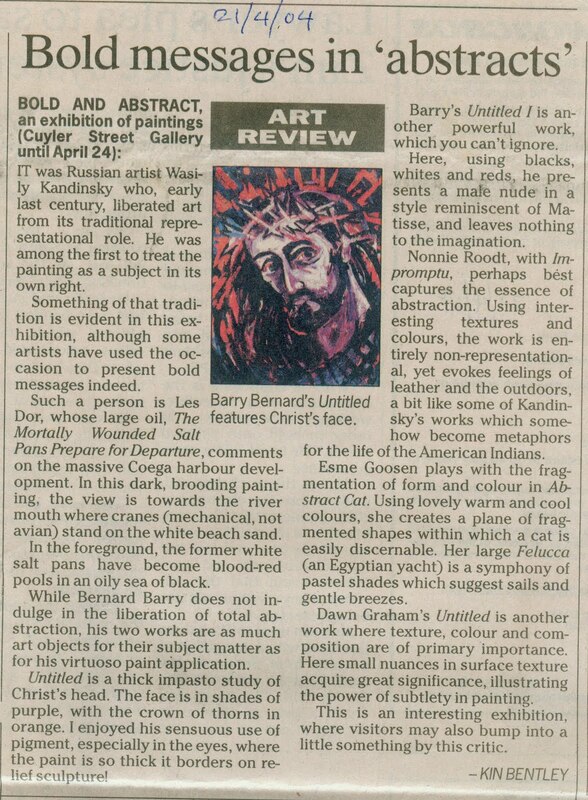 Amidst the political madness, some light relief at the art gallery. 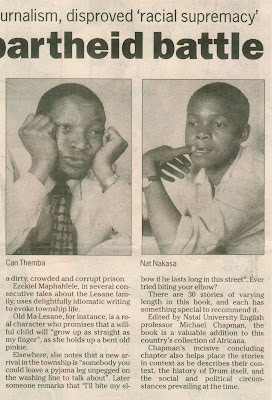 Another of those I helped make famous, if you like, during the 1980s was Mkhuseli Jack. 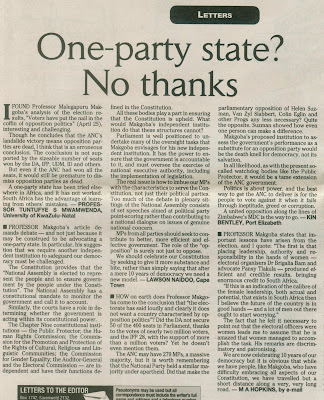 Khusta was head of the PE Youth Congress and led the UDF's consumer boycott committee which put immense pressure on businesses to confront the government over apartheid. Khusta has recently jumped ship to Cope. Who knows, maybe one day we'll see eye to eye. 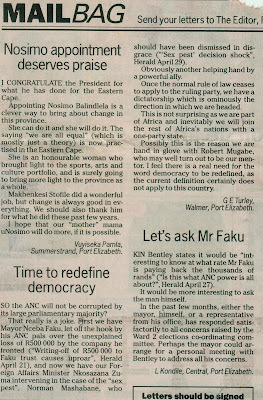 A question mark still hangs over the dealings of then PE mayor Nceba Faku. Here I tackled one issue affecting him. 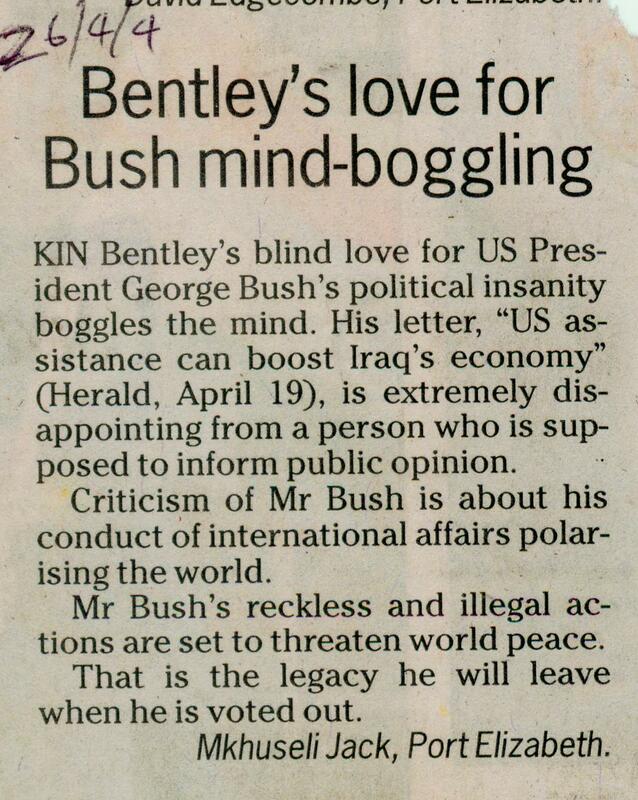 The Sunday Times still provided the best forum for intellectual debate. 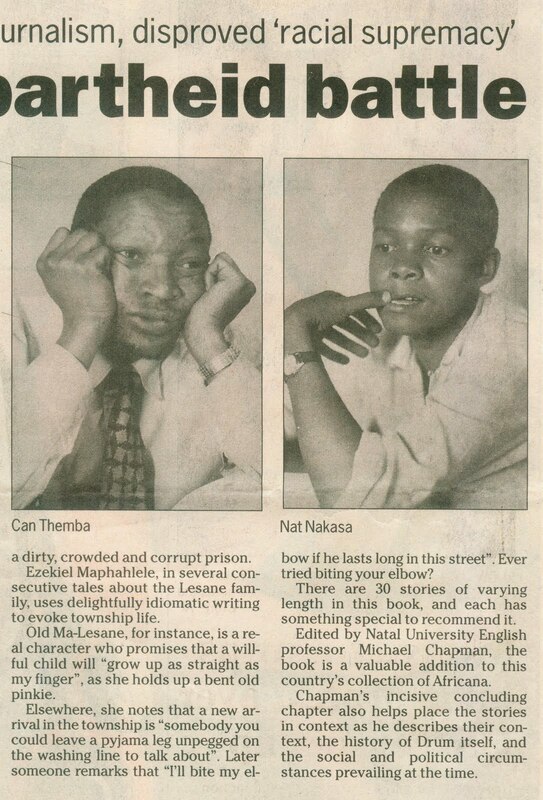 I loved tackling the supposed boffins, like Prof Malegapuru Makgoba, as I did here, along with others, on May 2, 2005. 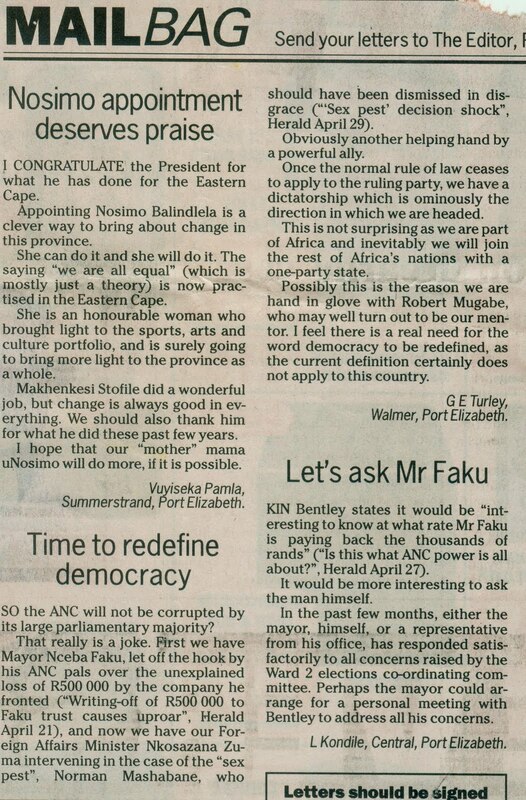 Several people jumped to Mr Faku's defence in the Herald of May 3. 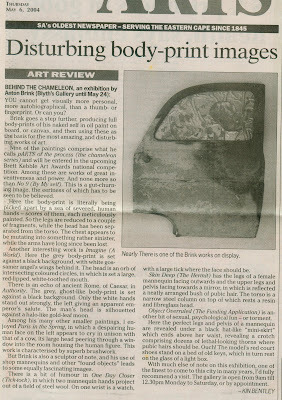 Anton Brink is a talented Grahamstown artist who will, I'm afraid, always live in the shadow of his famous dad, Andre. 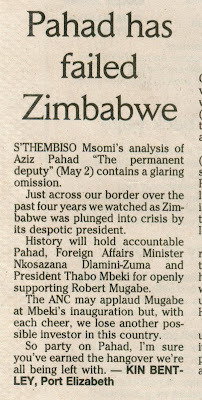 The smug face of Aziz Pahad is hard to erase from one's mind. 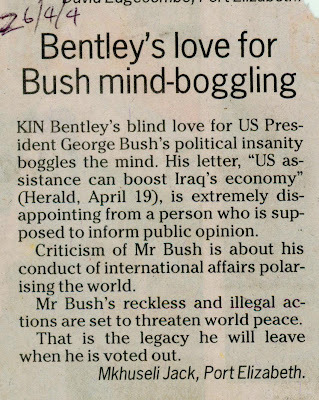 This letter appeared on May 9, 2004, in the Sunday Times.